When you have to flee your home, what do you take? Since the last exodus from Myanmar in August, more than 688,000 Rohingya people have escaped to Bangladesh. Here, refugees talk about the things that mean most to them. It’s time to step up! In solidarity with the 68.5 million children, women, and men who have been forced to flee their homes, help us share the journey. Every minute, 31 people are forced to leave their homes. The majority of them live in the poorest countries in the world under extremely difficult conditions. Armed conflict, climate change, development megaprojects, persecution… The causes of forced displacement are multiple, interwoven and complex. It is time to step up! Without inclusive and participatory democracies that respect human rights, forced migration will only increase. Also see where D&P are supporting communities displaced by hunger and violence in the Lake Chad Basin. 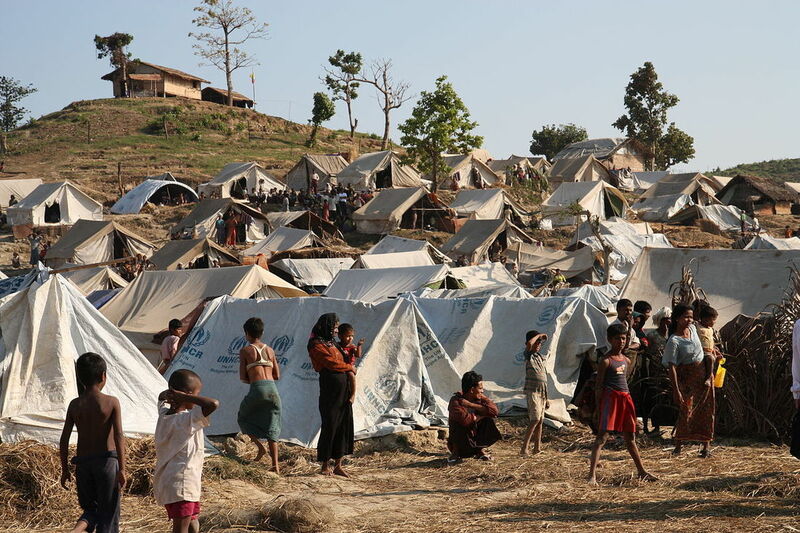 ...85% of the world’s refugees are being hosted in the poorest countries on the planet. This is certainly the case for Niger and Cameroon, two countries in the Lake Chad Basin - one of the poorest regions in Africa - that have taken in refugees from Nigeria fleeing violence in their villages. Thousands of men, women and children, participating in a mass exodus from extreme violence and insecurity in Honduras and other countries, have sought entry to Mexico. Mexican authorities must protect people who are fleeing from danger and guarantee the right of every person to claim asylum, whether they are alone, in a group or part of a caravan. 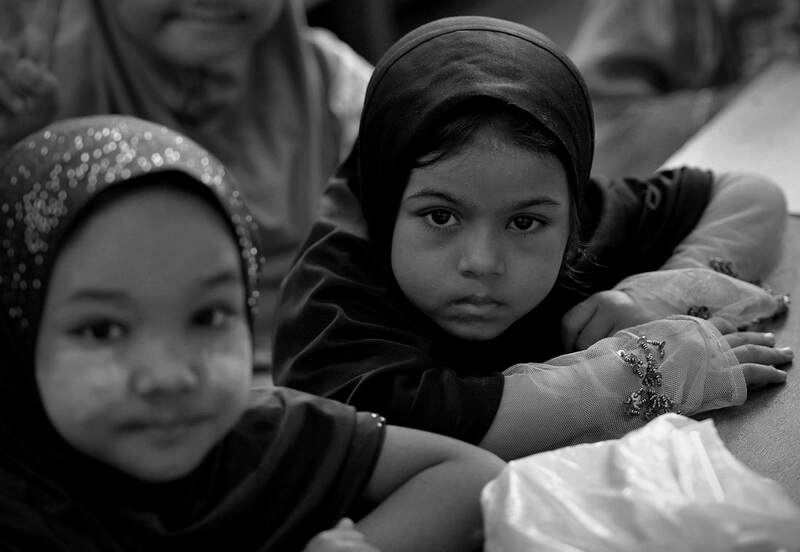 Let us not forget the needs of the Rohingya! 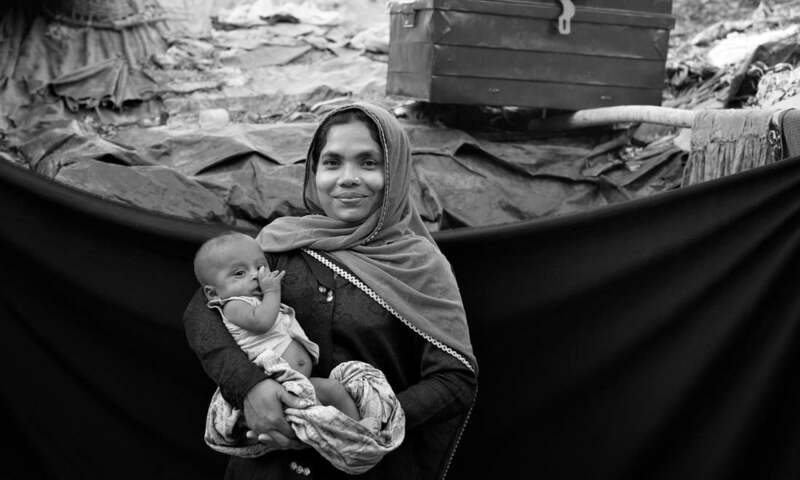 As soon as the crisis started, Development and Peace acted quickly to put in place a humanitarian aid response to meet the fundamental needs of Rohingya refugees. Today, Rohingya refugees are facing the triple threat of the monsoon, a funding deficit for aid and uncertainty about their future. Your generosity can have an immediate impact! With your help we can address the specific needs of women and girls and support host communities, who are bearing the brunt of this crisis. For almost 50 years, Development and Peace has been striving for global justice and dignity for all. By addressing the root causes of injustice and poverty, we have been working to build a fair and peaceful world. Are you aware of this Canadian Organization with its mission to help migrant worker who are unjustly treated by those who wish to profit from them and by the government which lack fairness in dealing people as good people for Canada. We are organizations of migrant workers from Alberta, British Columbia, Manitoba, Ontario, PEI and Quebec joining forces to create the Coalition for Migrant Worker Rights – Canada (CMWRC). Launched in October 2015, CMWRC is a unified voice of migrant workers in Canada. Our aim is simple: to re-build the immigration system to ensure basic dignity and fairness for everyone. Our members represent hundreds of thousands of Canadian-born, and migrant workers. Together we know that we need an economy that works for everyone, not one that forces us to fight each other for scraps. After an outpouring of support from all across Canada, the deportation order for migrant activist Gina Bahiwal has been cancelled. Huge thanks to everyone who took the time to write letters of support; grassroots public pressure makes a difference. See Twitter. The petition above is still important and valid. In the three years since the crisis in Syria began to escalate into civil war (2011), three million people were left seeking refuge in nearby countries and abroad, according to the United Nations Committee for Refugees. This figure only represents the number of registered refugees with the UN. To date, the average number of refugees has increased dramatically. Some estimates are nearing the one hundred thousand per month in the Middle East. According to the UN Committee, [about a quarter of the Syrian population has been displaced and the estimated number of civilian casualties is somewhere between one hundred and fifty to one hundred and seventy thousand]. Many refugees are Syrian but many are also Iraqi, Somali and Sudanese. The Canadian Catholic Organization for Development and Peace estimates that Caritas Jordan has six hundred thousand refugees and Caritas Lebanon has eight hundred thousand refugees. In the Fall of 2012, I had the great privilege to represent our parish on a Refugee Committee that comprised two parishes in neighbouring towns. For over eighteen months, our small committee worked with the Archdiocese of Toronto Refugee Program to bring a refugee family from Syria to Canada. The experience was incredible. The committee had to take responsibility for housing, schooling, transportation, medical assistance, initial financing support, fundraising, language and acclimatization to a new culture and country just to name a few responsibilities. Our family of four refugees arrived in Canada and with the support and care given by so many generous volunteers - it did not take them long to acclimatize to Canadian culture and society. The experience of being on a volunteer refugee committee and learning about all that there is to accomplish to bring a family from Syria to Canada was terrific. The best part was being with the family when they had arrived and meeting them face-to-face. It was a lesson in complete gratitude on so many levels. To date the family has moved to an area where they have employment and opportunities to socialize with other families that share their cultural heritage and language. Words could not adequately describe the newfound hope and joy that our family has for Canada. Recently I have been resourcing and reading about how education has made a difference in the lives of refugees and their children. Many refugees will not have the opportunity to move to Canada as our family did, but one thing is of the utmost importance, wherever we can give support, education is key. There are many foundations, charities and missions that are working diligently to provide resources for education. Here are some that are really making a difference for our Syrian brothers and sisters. If you have a particular interest in such issues please send in suggestions and information for us to post. There are likely others who have the same concerns and can benefit from your sharing. Use the "Comment" box below and help make a difference.